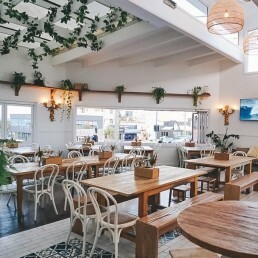 Health focused café by day, restaurant & bar by night. This all day eatery, the project of two local boys, Josh and Andy, is adding a spark to Palm Beach’s up & coming foodie scene. The natural light, whitewashed walls, hanging greenery, and timber accents combine to create this little spot of paradise. The wall mural is a stunning feature and the first to draw the eye on the rooftop, now open 7 days a week! This place seriously has it all; eats, beats, brews & the best cocktails in town. 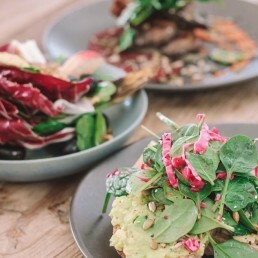 Recently moved to a predominantly plant-based menu, with the option to add your favourite protein source, their exciting breakfast, lunch and dinner menu will not disappoint. The Tapas menu is next-level awesome & the Espresso Martinis are a must here!